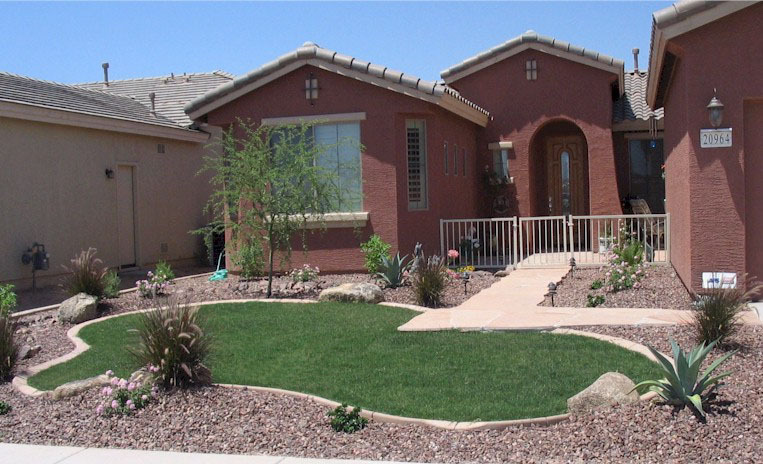 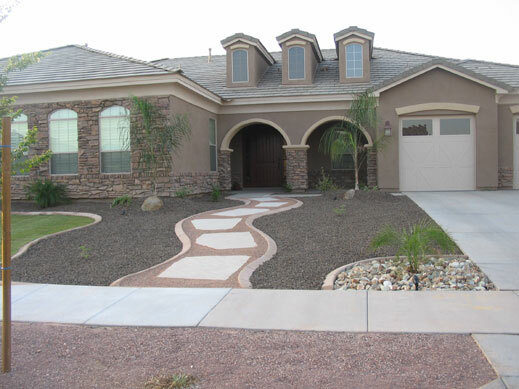 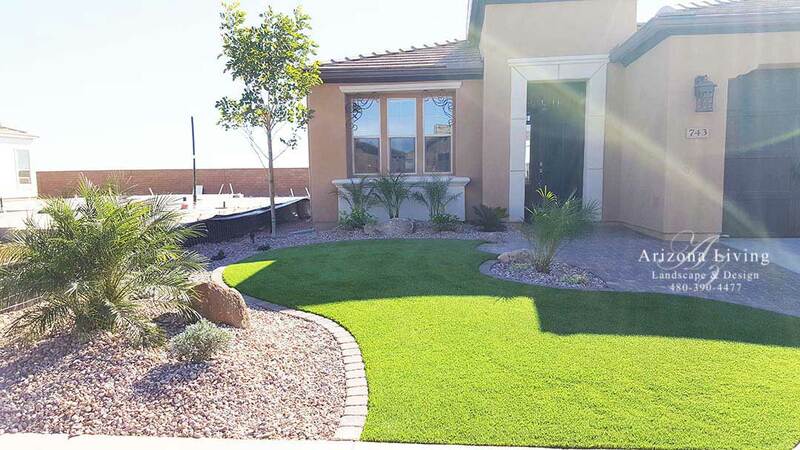 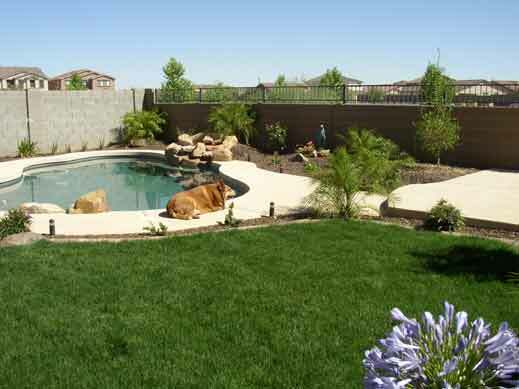 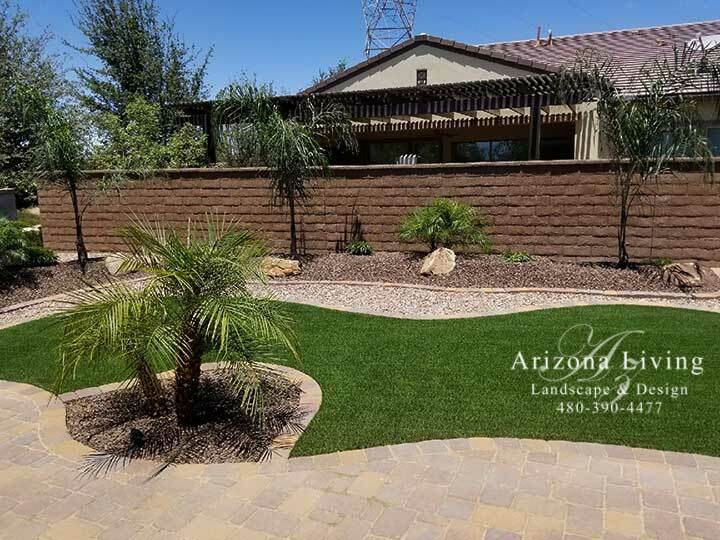 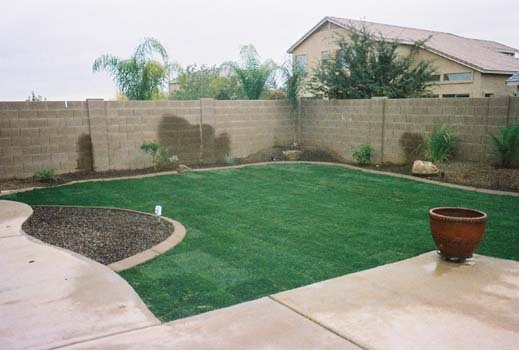 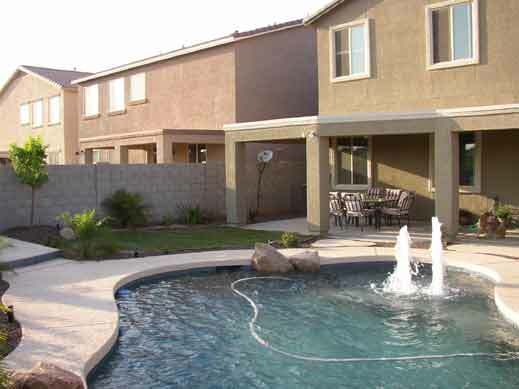 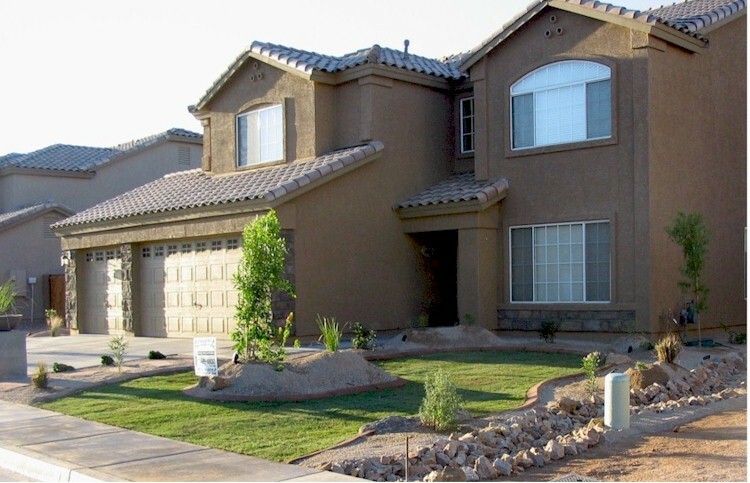 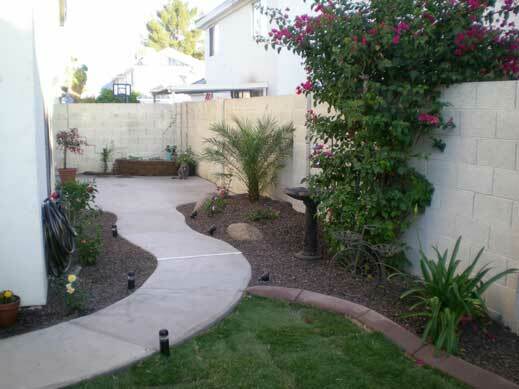 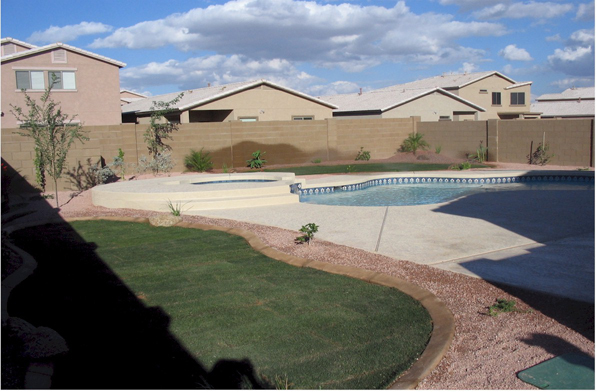 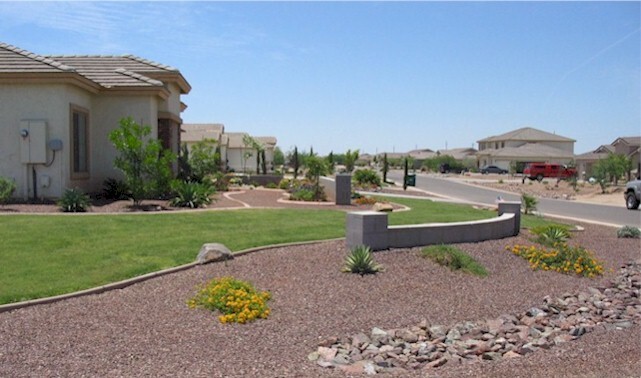 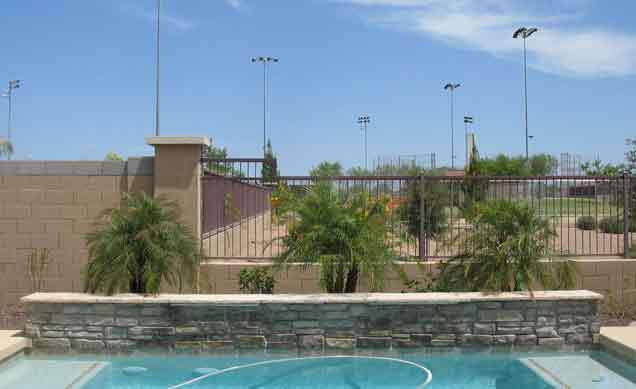 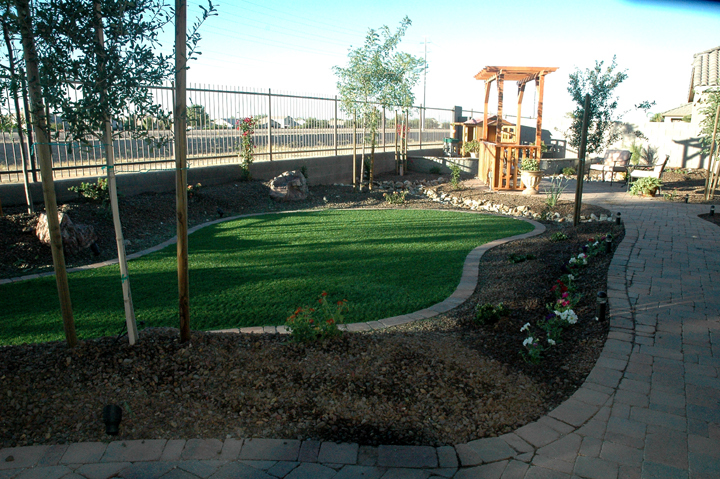 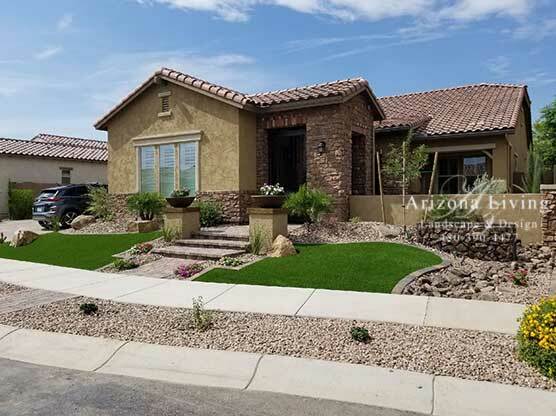 Below are some samples of Arizona tropical landscapes with sod, palms trees, mounding, boulders, native plants, synthetic grass, misting systems, and outdoor areas created by Arizona Living Landscape & Design. 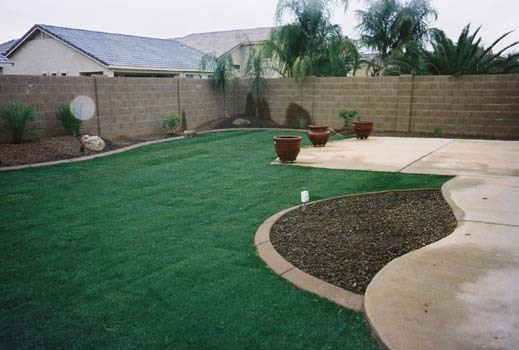 You don’t have to have the high upkeep of grass to have a tropical look in the Arizona desert. 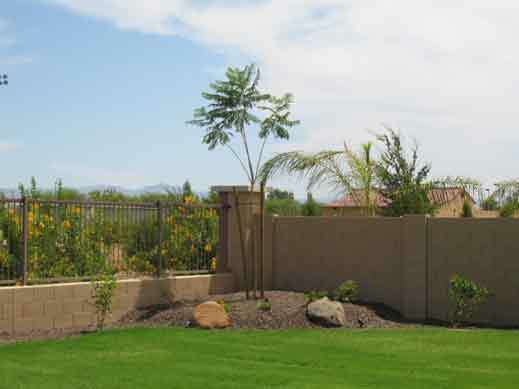 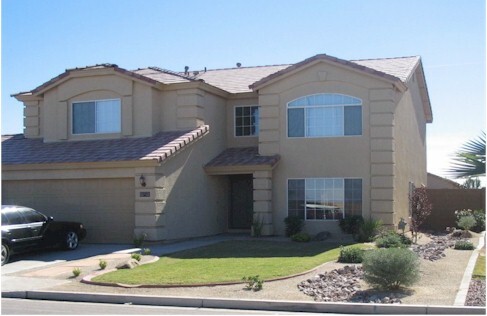 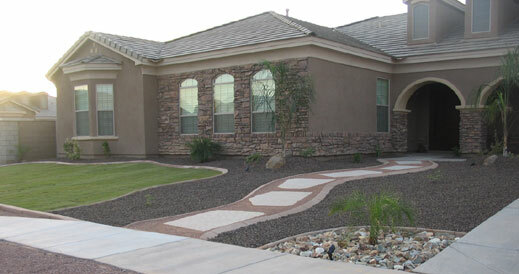 We can implement tropical looking plants that are desert adaptive to give your yard the feel of a tropical paradise. 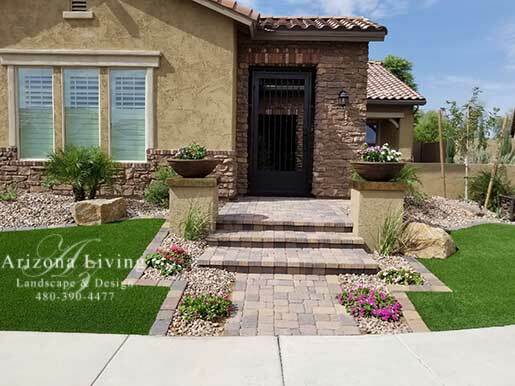 You can also add synthetic grass for a greener look without all the fuss.Front Yard Landscape design with paver driveway ribbons, courtyard in front with iron gate and pillars. 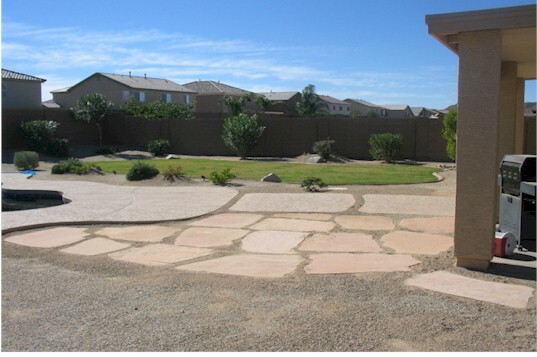 Paver Patios off the patio door and in the yard for an entertainment area with flagstone stepping stones. 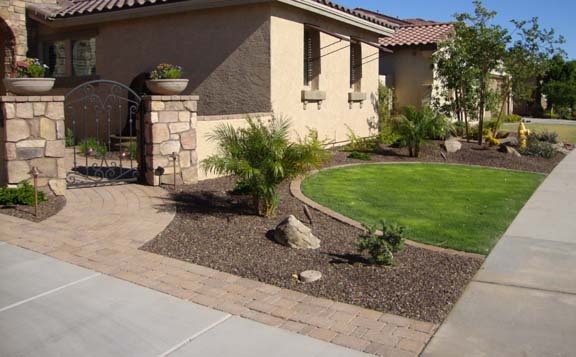 Tropical Landscape Design with Paver Patio and Firepit -small yard landscape design with just a touch of grass. 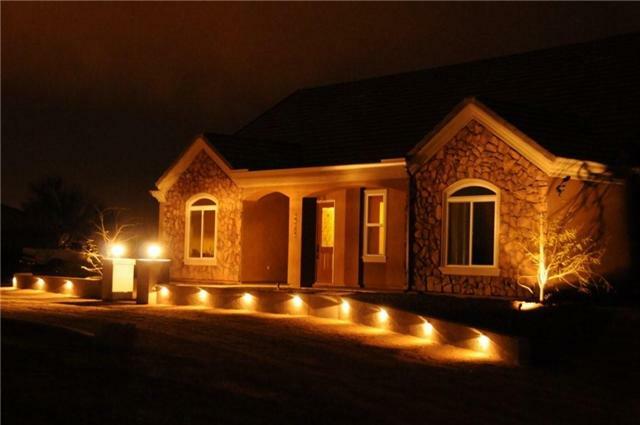 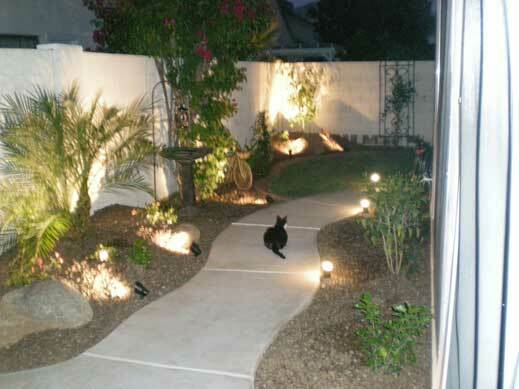 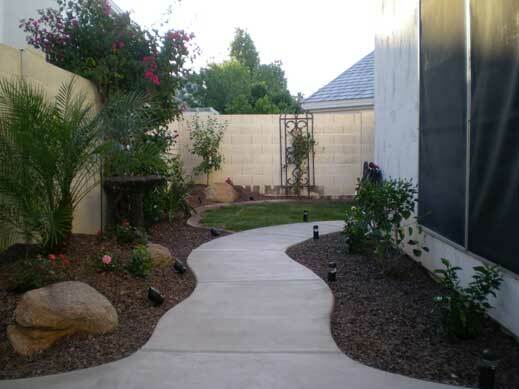 This is a small yard landscape design with a flowing sidewalk into a patch of grass, low mounds that flow with the yard and landscape lighting to accent each area.